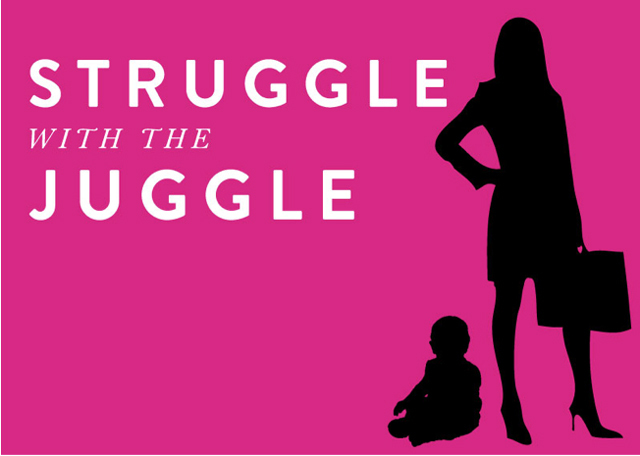 Podcasts in the Spotlight: Hear Motherhood. An interview about the new and noteworthy podcast that answers the question, "Can creativity and motherhood coexist?" Podcasts are sweeping the nation. From the pop cultural phenomena that Serial became to the proliferation of TED talks and NPR favorites. We want to use our time to and fro engaged in learning or listening in a new and fresh way that goes beyond the traditional radio talk show or audio book. For creatives, podcasts have become another tool in the kit to share brilliance. Should I have a YouTube channel? Should I have a podcast? Should I be on Instagram? Paige Ray, author of the still lovely Approaching Joy blog, has turned her artistic endeavors to podcasting in the fresh and approachable show called Hear Motherhood. These conversations are set up to answer the question, "Can motherhood and creativity coexist?" If you've been a reader here for more than one post, you know my answer is a big, "Oh, yeeeaaaah!" to this one. Paige warmly captures a mother's struggles and relatable triumphs as each works to answer that question in their daily priorities. I think you'll find her endearing Arkansas charm and positive tone one that will highlight your listening experience. Mommy Confessions as well as a Creative Momma Tip are a part of every show, too! An interview with Paige Ray is the voice and heart behind the New and Noteworthy podcast entitled: Hear Motherhood. Tell us how you came to be Hear Motherhood? I am a brand new mom to a beautiful 5-month old boy. This time last year I was convinced that creative life as I knew it was over. In my mind, motherhood was a job so big that it encompassed all of your life. Luckily I soon realized I was surrounded by creative moms who were making both happen beautifully. What turned this into a podcast instead of a blog or a kicking Instagram feed? I immediately wanted to talk to those women I admired who were successfully being "creative mamas". It was selfish. I wanted to know their secrets. Then I realized that if I could record those conversations I could help other moms and moms-to-be who had the same questions. Why do you think so many are turning or returning to a listening medium like podcasts? I lost my grandmother this spring right before both my son and this project were born. And though, obviously in different ways, I think she would have been a fan of both. Women in her time knew about the power of story and spoken word because the Internet, instant messaging, and even television didn't exist. In our faces paced society it's easy to see why people are looking back to those older mediums... Even if it is through using today's technology. Tell us what you listen to. I listen to my baby sing when he wakes up at 6am. I listen to a lot of questionable pop music from the mid 90's. I listen to audio books and it's the only way most anything gets "read" in my life. I listen to loads of podcasts. (Want to hear which podcasts Paige listens to? What can we look forward to for Hear Motherhood? More interviews from successful creative women who are willing to pull back the social media curtain and share parts of their real lives. More solo shows where I share my heart about the intersection of motherhood and creativity. And big dream? I want to be back in a year or so telling what it's like to write for O magazine as well and later put together a retreat for creative moms. If you're new to podcasts, take a look at Paige's sidebar as she simply explains the super easy process of subscribing. Give yourself the gift of listening in on the conversations over at Hear Motherhood, and let me know what you think! All opinions expressed are all mine. Thanks for supporting the brands that support Pars Caeli. Back to school season can be the perfect time to return to you! Try these seven ways to refresh. We've put a pretty bow around the end of the first week of school here! The final rush for school clothes, supplies, extra sleep, and final hoorahs came to an abrupt end to make way for backpacks, planners, extracurriculars. And though my children were not exhausted after their first day, I was!! I love back to school season, don't get me wrong. As a former teacher, I get so excited for the year ahead. And as a mom, I love the return to order and a little predictability. So, now that the kids are happily settled into school, and I've had a few nights of sleep to recover from the back to school prep, I am ready to get back to me a bit. The beauty of having all three in school for the first time is that, although I am still busy with work and the business, I have a little wiggle room for self care and a recharge of spirit. As someone who doesn't go through transitions quickly (or easily), I can safely attest to the need for patience with yourself. A sharp change in schedule or an adjustment to people moving in and out of our lives can cause more disrupt to our day-to-day than we might expect. Give yourself some time to adjust. Whether you have a wealth of time on your hands now or just a few moments to spare, use them to get yourself up and about. It is oh so tempting to fill our time with more coffee dates or TV or blog reading. But the benefits that come from exercise and being in a new surrounding will redouble their effect on your well-being. So pair the podcasts and binge watching with a walk, a run, or a yoga class with friends. I've been running during lunch, getting myself out into the fresh air. Do something that makes sense for you. I've been eyeing up this bike, too! Cute equals motivation to exercise, right? Students don't have to be the only ones to get organized! Grab yourself a new organizational tool or a chic daily planner to inspire your commitment to take care of yourself and put your priorities in place. Wire baskets are a new love of mine, for catching all that doesn't look wonderful sitting in piles and corners of my house. Dig in and take on that e-course you've been thinking about! Take a trip to the library or local bookstore and feed your mind with possibilities. Start a new journal or notebook. Spend a few moments where you can in active learning. Who knows you better than your loved ones? Make a date with your girlfriends, your mom, or your favorite couple and get laughing until your sides hurt. Somehow in the midst of happy tears, I always find myself. I have been craving stillness lately. Some of us need it more than others, and I know I seek it after a busy period. We had a packed summer, full of fun but still full, and now I'm ready to downshift for a while and recharge in the normal. At the times when I might have worked alongside music, I'm now giving myself an open window and bird noises to minimize the noise and allow myself to be still. If we can make national holidays for hot dogs or lemonade, you can certainly create a reason to celebrate you. You might not know what the next phase holds so maybe you celebrate the unknown. Give yourself something special to mark the occasion of restarting. What is there worth celebrating? Over here I'm excited to grab a morning coffee every so often with the hubs! How will you make the most of this season? How do you get back to you? Motherhood has been on my mind more than usual. With pals becoming new moms, turning the page onto a new decade myself, and Mother's Day upon us, I've been seeing motherhood from a lot of different angles. Join our Mother gang because mothering is hard enough without friends. In love and support of all mothers. I will not judge; I will love instead. I've always wanted to be a mother and pictured myself as one. I've been formulating what that picture looks like since I was a little girl. In many ways, all that I've learned, I learned through the lens of wanting to teach it to my future children. I have evaluated the world, other people, and myself through this lens of the best mother. And in that light, I have critiqued other parenting styles and choices. And when I became a new momma, I was super critical of myself. Am I doing this right? Is she sleeping enough or too much? Should I be nursing more or less? Do I keep her stimulated or too much so? So many questions ran through my head, judging every move I made. We had our second child when our first was two, and I heard others judgments. Are you ready for another? How many are you going to have? I think two years is too close. I think two years is too far apart. How old are you now? Are you really going back to work? Adding to my own self evals (that were still coming up less than glowing), I heard the voices of "them" - those people who don't really matter in our regular lives but we somehow give power to when we're making important life choices. I'm a mom, three times over now. My oldest has been on this earth a decade now, and my youngest can speak in paragraphs. My inner critic is quieter or has a better sense of humor. And the "them" have evolved with new faces and new questions/advice/unhelpful observations. I just want to love them. To walk up while they are fighting with the onesie diaper change. To high five while they're trying to wrestle with the toddler in the carseat. To hug when the child screams loudly and repeatedly in the middle of Church. To offer knowing respect when the tween spouts off disrespect. To hold hands as the middle schooler takes first steps into high school. To hold our breath on the first night that curfew is actually used. You always wanted to be a mom. You weren’t sure you wanted children. You have the pizza guy on speed dial. You craft the day away. You lost the baby weight. You just call it weight now. You think motherhood is rewarding. You think motherhood is challenging. We are paralyzed by the thought of them growing up. We worry if they’re getting enough vegetables. We wish for just five minutes of silence. We fear we aren’t doing it right. We understand our own mothers now. We yearn for unsolicited hugs. We stand in awe at their accomplishments, big and small. We grieve when another has lost a child. We have a common thread. I'm joining in the #MotherMovement. It's an effort begun by Sara Moore, and it begins with the statement above called the #MotherManifesto. It's a commitment to lift up all mothers. To stop the mommy wars and the bickering. To support. To listen. To love. There's a lovely Mother Gang of incredible women steering the ship, and we'd love you to join in. You're a #motherlover, aren't you? We're real people who find mothering hard and amazing and exhausting and worth it. Head over to Mother Manifesto to read more about this movement!! You'll see more about it here on Pars Caeli over the next months. And we have a pretty kicking giveaway coming up next week, too. Put aside your differences to lift all mothers up and support them in whatever way they need. Commit to the #mother community, to the village we always hear about, that we all need as mothers to make it through with our sanity. JOIN OUR MOM GANG. BECAUSE MOTHERHOOD IS HARD ENOUGH WITHOUT FRIENDS. And to all mothers out there, you are loved. I saw very little of my siblings the two weeks leading up to Christmas every year. You see, I'm the youngest of three - my brother is 8 years older, and my sister is ten years older - and they were busy. Busily creating, making, finishing (or sometimes beginning) homemade gifts for my parents or me or my grandparents. My memories, even rhythms, of Christmas include time away from events and shopping to imagine and to cherish loved ones by spending time making special gifts. It's just what you did. Or what we did. I grew up thinking that every sibling did this. I also grew up thinking this is how you use your talents. You create out of love. You create for others. My sister is a great artist and amazing needleworker. The handmade creations she can put together (in a very short amount of time) are remarkable. She has very few of these pieces in her own home. They have all been given as gifts. My brother is, too, an artist - sculpting and creating with fabric as well as pencil and paper. As a young child, I would challenge him to create something awesome for me, say, a purple-spotted black giraffe (with nearly 100 individual spots that he sewed by hand), and he'd make time to do it. He's given away all of these time-intensive, labors of love. As my own creativity grew and developed, I followed suit and gave away my art as well. It starts simple, right? Our children bring home that coloring sheet crayoned in our favorite shades. It moves to the work from camp or art class, like the pot or pencil holder that was made extra-specially for you. And somewhere, judgement comes in from either the giver or receiver, and with time limitations and conflicting priorities, the handmade gets left behind. As I told her then (in four-year old language), I'm not advocating for giving away everything that you create. I suppose it's more of a mindset. You see, these talents and artistic abilities and creative ideas are all a gift to us. To think that we are the sole creators or originators of these capabilities would be false or at least a distortion. Our talents have been given to us by a good and gracious God, and the fruits of those talents are meant to be used, dispersed, and spread. The simple act of giving away today's coloring sheet or tomorrow's popsicle stick creation teaches a broader, stronger lesson on love and how to love. And how to live. Keep encouraging your children to create and to create for others. 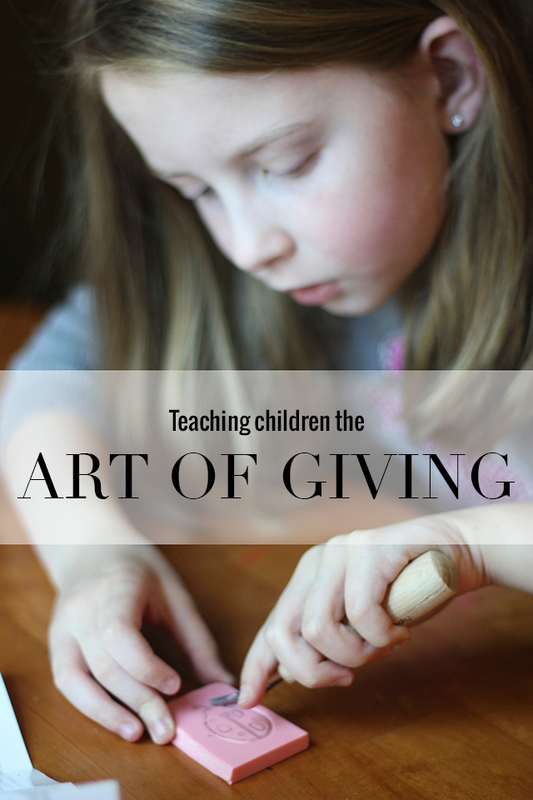 Even if something is not made with their own hands, teaching children that thinking about someone else and spending their time giving for other's betterment is such an essential life skill and a budding lesson in love. Oh, and thanks Brub and Sis for teaching me that this is the way it goes. "Aren't we weird human beings?" read my text message, "Us and our 'celebrity' crushes on people who are just regular humans like us." It was the second time, in a single day, that my friends and I were gushing over people who inspire us." I began to catch on to the idea of blogs as a new mom. I scoured the internet looking for ways to soothe my baby and stimulate early learning and fell down a wormhole into the mom blogs of the time. Many were overwhelming to me in terms of content and design. 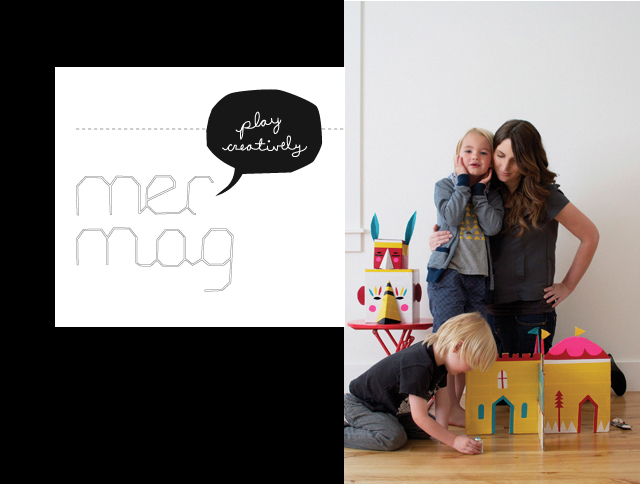 Mer Mag is a site I found myself going back to again and again when I wanted to see how beautiful and creative motherhood could be. 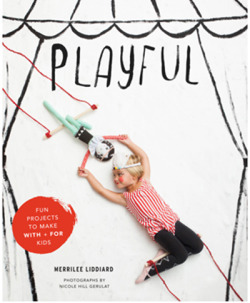 Merrillee is a styling guru, an amazing illustrator, and a fun mom. Her site is clean and gorgeous. Her projects use everyday materials and elevate them to the world of awesome design. She creates a whole imaginary wonderland in cardboard, paper, and tape. Her ideas are inspiring. No matter your age. Her book looks incredible (you can preorder now). Thank you, Merrillee, for reminding me of the joys of creating with and for your children. And for inspiring, through your use of material and shape, incredible projects we all can enjoy. Happy back to school week, friends? Last week was the week of projects, and this week the rubber hits the road as my older two start back. Summer is frenetic with camps and playdates, and I have to admit that I'm yearning for a bit of routine and flow. It's a different balancing act. As a work from the office and work from home mom (too many hyphens to make it worth the effort), I struggle to make time for everything and everyone. I should have perfected the juggle now that I'm nine years into it, and in some ways, I have. I've learned to go easier on myself, and I've learned how much I have to learn...and how much my children teach me. But I also have moments every single day where I wonder how I will get it all done...and with what kind of quality. I love it, and I struggle with it. She interviews maker mommas from all over and inquires about all the things you'd really want to know. Why did you start this series? We had recently moved to a small town in Oklahoma away from my family, friends, nanny, and my other momma friends that would keep me sane while I was "juggling" motherhood and my small business. I found myself in a fairly desperate place of needing encouragement and advice on how the heck I was going to make it through every day without any of those people. I know a lot of "mompreneurs" and thought they could help not only me, but others as well. Motherhood (or parenting in general) can be very isolating these days. We have everything we need at our fingertips to have and do it all yet what we really need is each other to lean on for support. It takes a village, right? What you have learned from the many posts? I've learned that I'm not alone in my struggle. I've learned that balance is defined by you, not society or someone else. And I've learned countless (and genius!) perspectives on being a working momma. I'm so very thankful to all of my guests and readers who have contributed so much of their heart to this series! Also, check out these two that I enjoyed: Amy's interview and Erin's interview. Here's to a kickin' week, my friends. Life is sprinkled (sometimes saturated) with challenges and hardships. 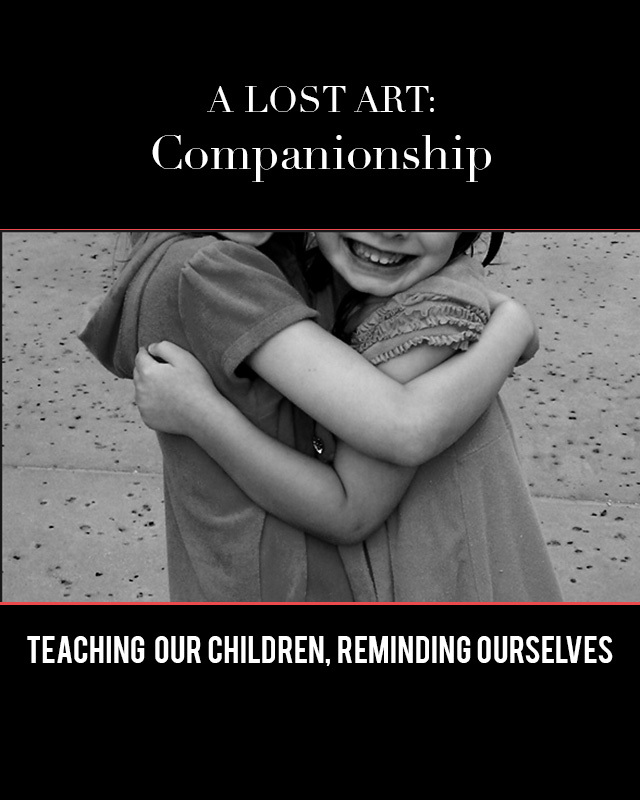 Companionship is a lost art that our children need to be encouraged to foster. As adults, we often look for quick ways to alleviate our own struggles and take these disappointments away from our children. We learn to keep our problems to ourselves unless we need help solving them. What does it mean to just be WITH someone as they struggle? Case in point. My oldest daughter, M, had her braces put on over a year ago. She was seven and worked through expanders on her upper and lower teeth. She's been a trooper through it all, nevertheless she's been counting down the days until she can get her braces off. We planned a "Chewy Party" of completely indulgent food - saltwater taffy, gummy bears, jawbreakers - to rejoice with all the foods she's strayed away from with her orthodontia. I was excited to be there with her when they came off, and see her face as she put the mirror up to her new smile and felt along the surfaces of her teeth with a fresh joy. As we pulled up to the orthodontist office, my heart began to sink. Only a few cars were parked in what is normally a packed lot, filled with tweens, teens, and parents hustling and bustling to appointments. With a growing sense of dread, we walked in, and the front office assistant informed us that the doctor was out this week. They had tried to reach us (what? ), and that we'd have to reschedule. I looked down at M, who suddenly looked so little and sad, and tried to calm my momma-bear instinct to lash out at said assistant. How could this be? We had planned on this day? Make him come back from vacation! End of interaction: We're scheduled for an appointment a month and a half from now. M and I solemnly walked back to our car. My mom brain was going 200 miles an hour trying to imagine how I was going to make this better. She cried, I consoled. I offered an ice cream. No, thanks, Mom. What if we went and sat at the bookstore and read together for a while. No, thanks, Mom. Could I get you the chewy candy anyway... those braces will be off soon? No, thanks, Mom. I hadn't caused this disappointment, but I apologized for it. I tried to supplement her once joy with other joys from the past. So we sat. She talked and teared up, and I talked and teared up. And I remembered what a gift just being with someone truly is. I was initially disappointed with myself that I hadn't created anything magical to overcome this disappointment. I was gradually pleased that I could be the person to sit with her during this time. And listen. And relate with my own stories. And listen some more. I wonder where I lost the instinct to sit and keep someone company. Perhaps it got tossed aside during the growing process and realizing that sometimes pain can be buffered by temporary distractions. Perhaps feeling with someone takes too much time. Perhaps it got dampened with my human survival instinct to run from pain, to avoid pain, even when I see it in those I love. It's terribly difficult to sit (for me), to just sit, with someone when they are suffering, even over a minor disappointment like a delay in getting your braces off. I want to fix. I want to create new joy where it once was. I want to move forward. I know only a handful of people who are really amazing companions. These people know the ability to be quiet and regularly practice listening and keep check on their need to advise or change the subject. They are comfortable with silence, expression, and pain. They are true gifts. I want to teach my children how to be good companions and go along with someone, through their joys and their struggles. I'm grateful I had a chance to practice companionship myself and to be encouraged again to find more ways to walk with someone. My persistance wore down my daughter eventually, and we drowned our sorrows in fries and shakes from Sonic. And we talked of life's challenges, of those people we know going through major disappointments and we remembered that feelings matter but braces would still come off... just not by the time we might like them to. And she thanked me for being there with her. And I thanked her for letting me be a companion. I'm sharing some advice, a practice I generally try to steer away from, over on Bunny & Dolly today. PJ is the new momma to Asa (and the proud momma of Levi, too)! Big congratulations to her and her gorgeous family. 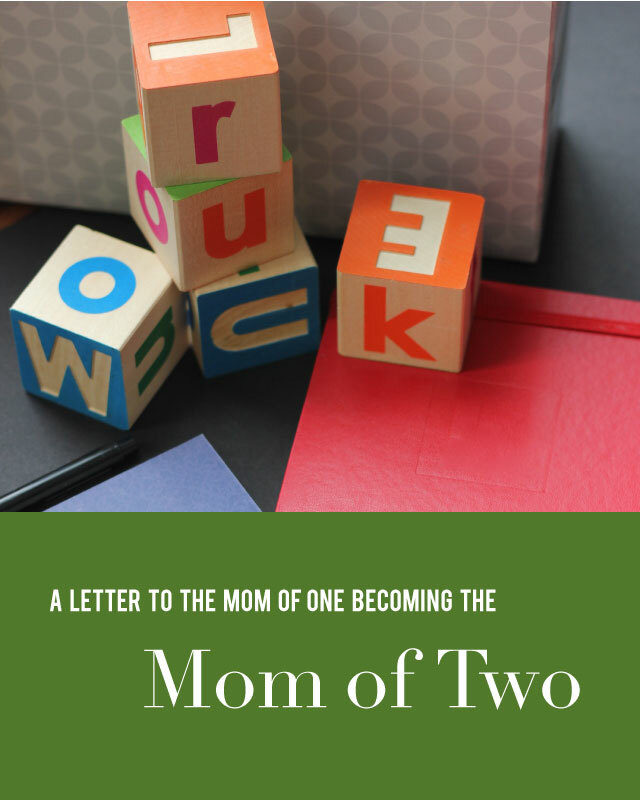 I'm going against my general rule of thumb to offer my own 3 cents because the transition from mom of one to mom of two was a doozie for me. All the comforts of motherhood that I'd become accustomed to (AKA: focusing, relaxing during naps and bedtime, consistency) were tossed around during that first year, and I wish my wiser self would have come dancing in a bit more often. So, if you know a mom preganant with her second or a new mom of two, send her over here. And if you've been through it and wanna laugh at/with me, I'm cool with that, too! It's always such a privilege to spend time on someone else's blog so please click on over and get to know what Bunny & Dolly is all about! Happy Sunday, dears! It's delightful to be here with you on a Sunday...maybe a first! I had to pull myself away from our family gatherings to bring you this goodness. 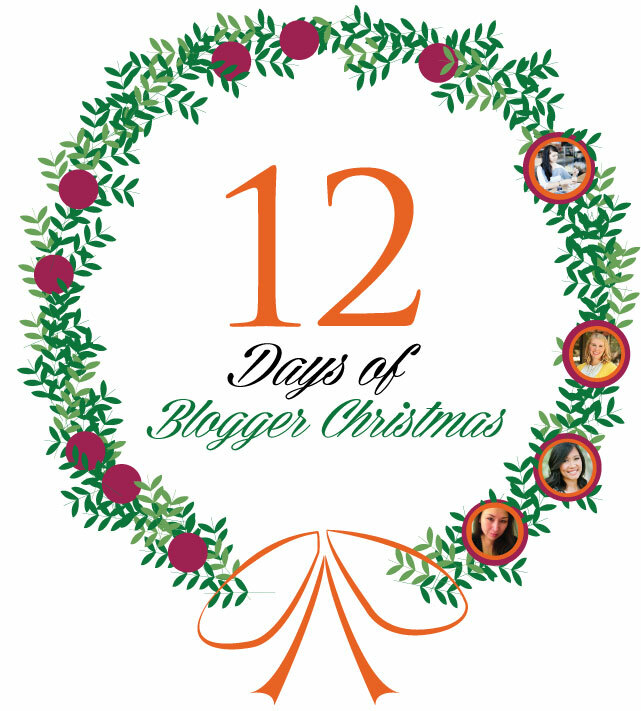 We are a quarter of the way along this festive journey on the fourth day of Christmas in the 12 Blogger Christmas. 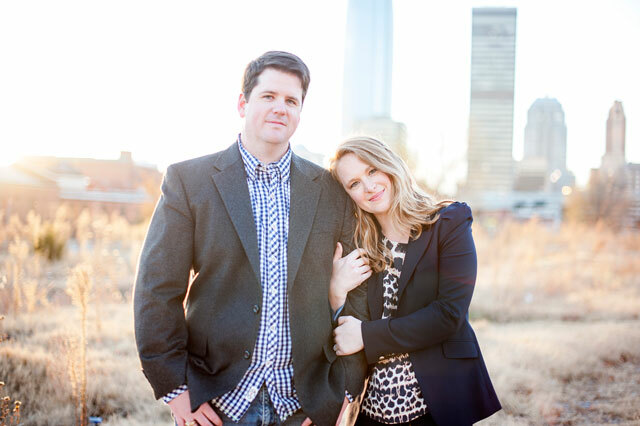 Today we celebrate Kim of Design + Life + Kids! Honestly, I needed to feel a little independent from being a stay-at-home mother. I love being home with my daughters and getting to experience every moment with them, but I wanted a creative outlet that was just for me. Does that sound selfish? Ironically... my kids. While not everything I write involves them, many posts do. I probably would never have started DLK if it wasn't for them! I love putting together a great collage, reading about a wonderful design and sharing our experience in the kitchen. There's a great sense of accomplishment when a post goes live. DESIGN + LIFE + KIDS (DLK) is about looking around and really appreciating what surrounds us. Whether it's a package design, a blanket's detail or an elaborate skyscraper, someone designed it and that's awesome. They're like little dreams that have come to life and we're surrounded by them everywhere. 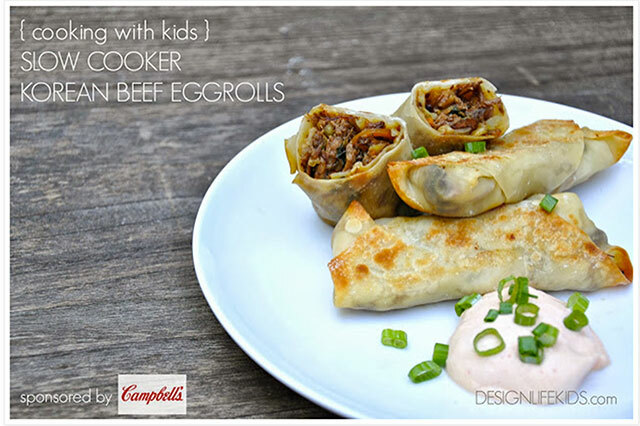 I'm on most social media as @designlifekids and my favorite spot to share is Instagram! I've also opened up a new shop on Etsy. 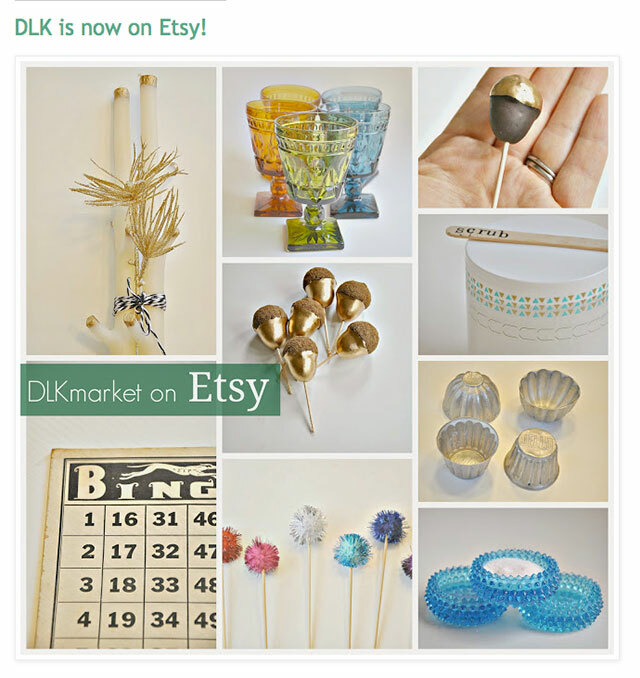 Come on over to DLKmarket. My husband's favorite mac and cheese recipe... His mother used to make for him and now we share the recipe with our kids. It's so good! Growth. I did a lot of growing this year within myself and DLK and hope I can encourage that even more this year. I will be contributing on a two great blogs soon and I'm super excited about it! I hope to work with others for contributor posts on DLK as well. I'd love to share new opinions and topics on DLK! Kim has a great eye for all things design and delightful! Following along with her DIY kitchen makeover has been crazy good, and I love the clean lines and modern feel she and her husband have created in their new space!! And if you don't know Maya and Senna, her daughters, you are missing out on some adorableness!! Check in to see her latest travel, her collages on great design, her recipes!! And hop on over to the new Etsy shop, too!! Kim and I collaborated on the idea of the hypertufa pots, and hers turned out so edgy and fabulous. Happy Sunday, friends! Let's have a great week - I have more presents starting tomorrow with one of the most charming, talented, and real bloggers. You're guaranteed to learn something stunning every time you visit. Today I'm doing one of my favorite end-of-the-school-year gestures. It's a present I'll give to my children in ten to twelve years. Pat on the back for early prep on this, right? As a teacher, I found the last week of school such a roller coaster of highs and lows - wanting to keep the children I'd grown to cherish, wishing them success with new role models and guides, ready to bust open the doors to summer relaxation. Looking to find some way to capture the emotion of the final days of school, I searched the interwebs to express the bittersweet experience for my children. What I found (and loved!) was this sweet idea from MaryLea. Do you all know her? If not, take a peek at the hundreds of art projects she has going over at Pink and Green Mama. I asked my children's teachers (and their aides) to write notes on the interior pages of a loved book. From here to there from there to here, I'm a big-big Dr. Seuss fan so I purchased three copies of "Oh, the Places You'll Go." I was happily delighted with the amount of time each teacher spent, thinking about what my daughters and son will be like as high school seniors. Each educator highlighted particular gifts that my children had shared and wished them a generous journey ahead. These words will mean so much in years to come as the distance from preschool snack time and recess grows. So, go buy a great book for the child in your life. Send it and a very thankful note in a sealed, discrete envelope (or drop it off at the school office) a week or two before the school year ends. Volunteer to come back to receive the signed book the second-to-last day of school. And then tuck the book away in a special place until next year when the message gets added. *The key here: not forgetting that special place from year to year. Sending you and yours warm wishes for the endings ahead. Welcome to it, my friends!! A new series launching today and coming to you every Wednesday this summer. I've teamed up with some of my favorite mommas in the blogosphere to bring you fun and to keep your kiddos engaged in fabulous projects. This is going to be an amazing summer thanks to these ladies. We are showing you parties and recipes, backyard fun and art projects, and a few charmed surprises that will make you wish on an evening star for a few more days of childhood. So tell your friends and pull on some play clothes! Melissa is starting us off with a great mosaic project. My kids are going to love this one!! How about yours? PS. 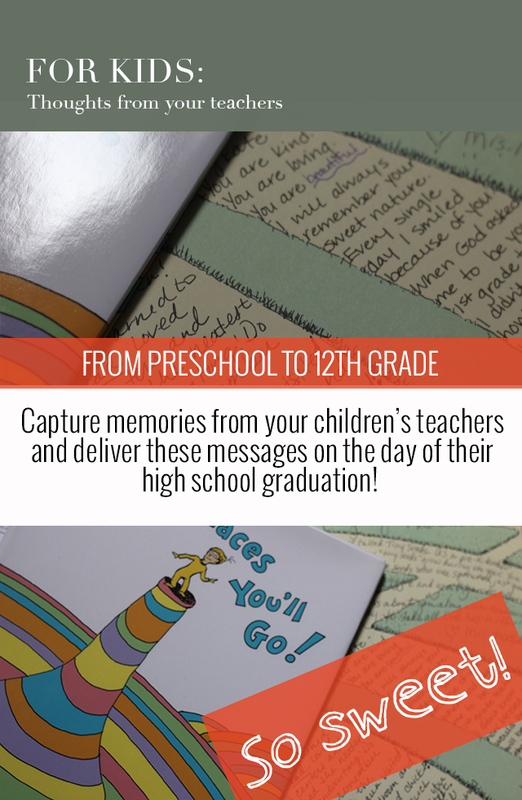 Come on back tomorrow for a thoughtful way to capture this year's school memories for your children. I promise, it's a really good one. Perhaps you've heard this story before? The one of the superhero who can extend, expand, and alter time? No? I don't remember a lunchbox with her picture on it, but somewhere along the way I decided I wanted to be this all star. My journey to conquer time began from a place of confidence and passion. I told myself that I'd been given this set of God-given talents, and with the 168 hours in the week, I needed to spend the vast majority of them working, volunteering, creating, cleaning, mothering... I could do it!! I was on my path to superhero status, so why not? And underlying that notion...a thought of pride. I am better than. I can do more. Look at me. Watch me. I can raise amazing children to whom I dedicate focused attention as I nurture their abilities, challenge their behaviors, and impart the wisdom I have acquired through this super special journey that I'm on. I can do this while I give just as much attention to my adoring husband, and just as much attention to making my home warm, welcoming, well decorated, and, of course, trendy. You better believe I'm incredibly successful at my job, giving more than expected and adding ideas only I could offer. Oh, and I can run that volunteer group at Church and come in for centers and help out with after school activities. Yes, yes, go ahead and sign me up to bring in that casserole. I'm running and staying fit - oh and did you see that I brought that great project from Pinterest to life. I am a superhero. Did I mention that? Yes, of course, I've read that 400-page book for bookclub. But don't ask me to talk about it because I've only read the synopsis on line. And my Pinterest project...well, don't turn it over because it's not actually usable. I was distracted at centers and unfocused with my volunteers. My laundry is unfolded, my dishes undone, dust is layering on my bookshelves. I can't get to all the projects that keep coming my way at work. And I yelled at my kids and my husband. It seems they don't see this superhero path, and they just want to distract me with new needs and wants. Why can't they all just figure it out? I'm tired. I'm spent. I'm sick - again. I have to expand time. Do they not understand? I am a superhero. I can fit it all in with a smile. I can accomplish more than you. And underlying it all - I'm better than you. The force field can't withstand this hit. And I cry. And I doubt. Why are you not good enough to do all of this? You are a superhero, remember? You are better than...you should be able to do this. What's wrong with you? And the soft, clear voice of reason or of God (or maybe both) can be heard, finally. Shhhhh. Listen to it now. You are beautifully and wonderfully made. You are meant to give your gifts freely and with joy. And that is enough, THAT is more than. Not you. You, my friend, are not a superhero. That job has been taken by One, all-powerful and almighty. Stop trying to take over. 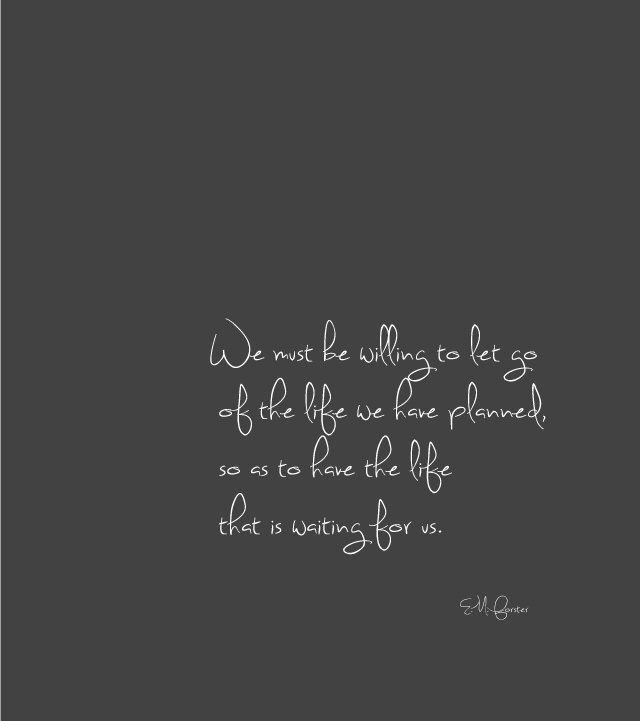 And let go. Drop the mask and the walls. You are not better than. You are the same as, in totally different ways. You are enough as you are. Be that. Do that. And leave the superhero fantasies to your children and the youth of the world. You have deeper knowledge of friendship and compassion, equivalent to any Marvel power. Be you. Gently. That's pretty super. It's a beautiful Thursday, and we're here at the close (for now) of one of my favorite series yet. Sniff. I find the art of blogging such an interesting and diverse experience. I have encountered some of the most creative individuals through my work on this blog, and I have been captivated by their stories - not only through the posts that they share but through their journey to writing, designing, photographing, and curating their interests, products, and passions. I hope you've enjoyed meeting the artist, the budding photographer, the stylist, and the writer in this series because I have definitely loved sharing them with you. I've been a blog reader for about eight years, and I think I needed this extended time to digest the "what" of blogs and the variety of ways posts add to the creative content, easily accessible to all. Community building is a big part of who I am, and I fell in love quickly with the authors and artists who freely shared their amazing experiences and gave away their recipes, their project instructions, and their advice. I have followed the development of the Alt Summit brand from the beginning, and when they announced that online classes would be available, I signed up for the first one! I took it as a sign that I needed to do some research on blogging, if nothing else. Of course, in that class was a spirited chatter named Paige who had recently started her blog. She contacted me after the class to see if I'd like to do a guest post on her site. I was happily terrified and decided if I was to be a guest, I needed to have a home from which to come. And the webhome, Pars Caeli was born. Well, it's fair to say that in the early days of blogging, I didn't really have a goal for this space other than to have fun with it and connect with other creatives. I remember spending hours and hours on a post I created about our favorite read aloud stories. I was so proud of myself for getting it all together that I made a bold move and sent an email to Gabrielle Blair of DesignMom.com, a blog hero of mine, writing that I thought she may be interested in our books (what was I thinking?). My small Blogger site was just a month old at the time, and, shockingly, Gabby came over to visit! She even commented. At one month in, I'd already had one of my design/mom/writing idols visit. I was star struck!! I seriously didn't know if I needed to do any more on the blog. Do I just close up shop? That made me realize that I probably needed to have some kinda plan for Pars Caeli, more than getting really cool people to visit. But you better believe that's still part of the thrill. Heck, I got you here, didn't I?! I'm happier when I do so. I'm more creative and responsive in my professional life as a graphic designer and social media specialist when I blog. 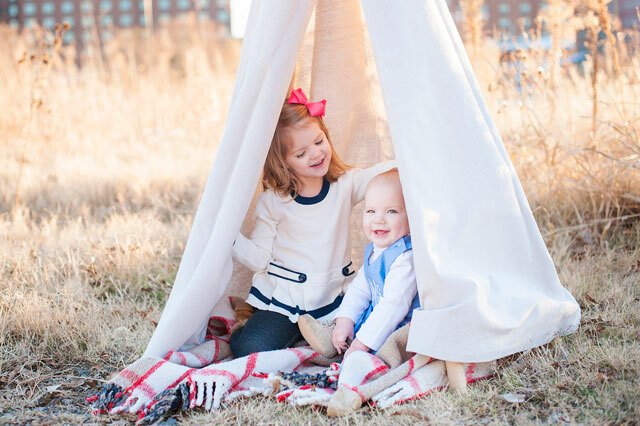 I also love that Pars Caeli keeps me accountable to finish only dreamed-of projects and find the time for the adventures with my kids that were concepts before the blog. It's the challenge. It's the community of readers who spend their precious time reading and commenting on my musings. It's the oddity, too. I've always thrived on having something a little quirky about me, and I think a blog fits into the vibe quite well. I may lose readers for the utter mundane nature of this response but - washing dishes. 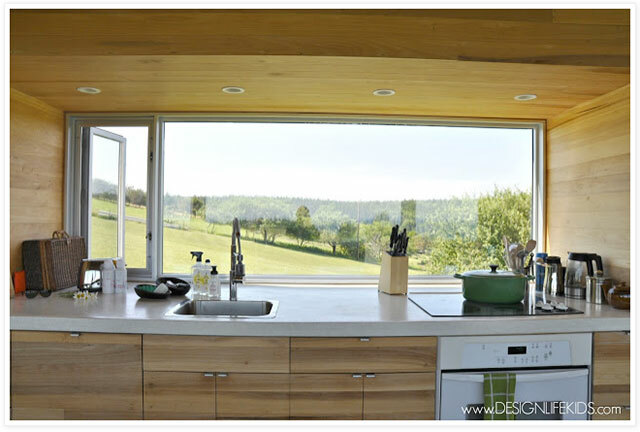 The window above our kitchen sink overlooks our backyard and taking in the natural environment while I complete a routine task gets my gears pumping. I find conversations inspire my posts. Sometimes these are tweets back and forth, but more likely it's a chat with a neighbor or a friend that will prompt me to respond. Also, I stink at working from a desk, always have (even the really pretty ones). So most of my blogging happens laying down on my family room floor and pecking away at my laptop. There's something about the blood flow and the remembrance of playing on the floor as a child that brings it all full circle for me. Unexpected content. I love surprises. A fresh perspective. Large gorgeous photos (I'm a sucker for eye candy). Clean and coherent web design. Great storytelling that makes me want to connect further. Yes, I would sleep more. I'd have to develop another hobby. Hmmm, cup stacking and learning to play the guitar are still on my list. At this point if I walked away, I'd feel disconnected. When I took a month off of blogging over Christmas, I began to feel like a piece of me wasn't getting exercise. I can definitely fill my time with other activities, but blogging stretches me, pushes me to learn. Don't we all need a little of that in our life? I've got great big dreams for Pars Caeli. This space has become one of humor, laughter, design, reflection, and friendship, and I'm in the works of amping that up even more. I have projects and artwork I want you to discover. I have stories that need to be told, and I want to hear yours. I have some great collaborations coming up in the next months that I'm excited to share, and my first trip to NYC for AltNYC that I'm going to blog all about. I'm also completely committed to keeping that initial embrace of the unexpected for Pars Caeli. You just never know when the Holy Spirit is going to present something amazing in your path. Count me in as ready to welcome new growth, new life. I just love, love, love Thursdays around here. I get to bring some fabulous people into the spotlight for all of you dearies to see and read. And I saved a might good one for this week. Do you know Meg? You completely need to if you don't. I was stunned to read that she's only been at this blogging thing a year because her words are timeless. She is an amazing writer who can make me ugly cry and snort snot bubbles of joy (this is a compliment, I promise) as I read through her stories of womanhood, family, and life. Give yourself a Thursday treat and head over to Meg in Progress (after you read this rockin' interview that she offered me whilst nursing for her daughter with pneumonia) to savor her words. Meg in Progress has been exposing my mediocre attempts at a full life since February of 2012. I have been writing my little ramblings down on other sites since about 2006. There were two main reasons. First, I am a writer who had forgotten to make time to write. With all the guts and glory of wifedom and motherhood, I was no longer taking the time to do the things that make me feel fulfilled. Creating Meg in Progress was really my way of creating a space where I could go to do what I love and remember who I am. When I am able to plunk a few thoughts down each day, I am a better person when it comes to every other facet of my life. My biggest mistake is that for awhile I compared myself to other bloggers with some frequency. I mean my goodness, you are all so amazing and it can be so intimidating. I don’t even own a glue gun so I need to stop wishing I was a top craft blogger. Today I walked around with applesauce spilled across my jeans, so the fashion blogger ship has sailed. I became a better blogger when I stopped feeling like everything had to be covered in glitter and designer labels. The whole concept of the Meg in Progress is that I am a very imperfect work in progress. One day I decided to truly embrace that concept and that message. Everything that followed that decision has been more successful and, more importantly, a more accurate reflection of my authentic self. My crazy, innate, can’t turn it off need to write. Also? The relationships I have developed with readers I have never met. There are so many amazing women out there and I love that blogging has been a way to connect with them. A long walk with my two little girls. I always return home with a new story or insight. Happiness! A cohesive story telling style. And an honest approach to life. I am not very attracted to blogs that look like perfect catalogues. My Anthro magazine comes in the mail each month and serves that purpose well. I read blogs to learn about and connect with real people. I would have more time for writing for print publications. Which would be fabulous and also, very, very sad. I bring home the bacon (mmmm...bacon) by taking on freelance writing projects. I also write for Caravan Shoppe and have some really amazing projects in the works with those fabulous ladies. In May, I am starting a project on womanhood that makes me want to jump up and down with happiness. But my best time (and most of it) is spent with my family. I am blessed with a husband that makes my heart beat and two girls that are made of equal parts sugar and sass. My life is brimming with scraped knees, dirty clothes and love. Right now, I wouldn’t have it any other way. Meg, thank you for your honest words here and over at Meg in Progress. You lift up the journey of motherhood and open it up for laughter and encouragement. Your bravery inspires me, and your talent pushes me to do more. Do you know another great blogger that should be featured here? Leave a comment, and you just might see it happen. St. Nicholas visited us late last night, and my kids were up extra early this morning to see what awaited them. This merry elf is tired. God bless their teachers today! Happy Kiddos: What do you take? As noted in my Simple Tuesday post yesterday (and also noted, I love donuts), the Pars Caeli fam is taking a little break. Ahhhh. I won't claim that we have great need in a world of Hurricane victims and other such devastation. But, I will say that this five-some, well, we could use a time away, a bit of time at play. We're headed off to a land of imagination, to spend some time with mice and princesses, and mostly just spend a lot of time focusing on laughing, wondering, and memorizing each other's faces (those little expressions change so quickly, I have to study every wrinkle). There is something so magical about time separate from the ordinary of life, particularly something about time spent on vacation, that gives me the crystal clear focus that I long for on so many fuzzy, hurried days in the routine. This is a return trip for us, almost two years ago to the week, and I'm excited to see how my kiddos will take in sites old and new, and how they'll share the experience with each other. I found our packing list from our last visit. It's a long document filled with reminders to pack diapers, wipes, baby food, and diaper cream. Oh, the overflowing stuff of babies!! I'm headed on a flight with three little adventurers who will be pulling their own rolly suitcases, filled only at half capacity as they each plan ahead for the souvenirs that await the homeward journey with them. They are such wondrous companions. I look forward to restful, complete nights of sleep (knock on wood), and hilarious hash and rehash moments with my hubby. The chubby fingers and exhausted naps in the stroller will be missed, but they've paved the way for excited hand-holding skips to the front of the parade and quiet parent moments watching from benches. Bring on the celebrations of all that is and is to come! PS. Please pass along your recs if you have any must-see, must-dos! Blogging has allowed me to connect with many creative, talented, and fun people from around the globe. I love looking at my Google analytics to see what parts of the globe light up from lovely readers (hello friends in Ireland!). One bright spot for me from New Zealand has been the inspiration of A Happy Adventure, the amazing brainchild of Hana. She knows how to make the world a magical place for her little ones, and I love seeing all that she has to offer (that I can grab and use, use, use for my kiddos). Check out her Little World posts and be prepared to get your family passports ready for adventure. Hana invited me share some of our family traditions and celebrations as part of her Magical Days series. Jump, hop, skip, and leap on over with me to hear why I'm a huge advocate of large sinks. Find out what happens to our Christmas tree after the holidays. Check out my favorite books to read with my kiddos. Thank you, Hana, for welcoming me so warmly to your adorable and educational site! !